The escape room obsession is sweeping the nation, and the bug has certainly arrived in South Dakota. A unique way to spend the night out with friends or the perfect team-building exercise, the escape rooms of South Dakota range in themes from bank heists to pirate shipwrecks. Here are the best in the state! Escape 605 is the largest escape room experience in Sioux Falls, so it is a great place for escape room newbies to get started. There are plenty of different rooms available including pulling off a bank heist, trapped by a serial killer, piecing together a crazy night in a hotel room after a Las Vegas party, finding supplies and escaping during the zombie apocalypse, and finding out the alien secrets hidden in Area 51, along with several other options. They offer two convenient locations around town, one in Empire Mall and the other on South Westport Avenue. The Empire Mall location accepts walk-ins, but reservations are highly recommended. Not only does Black Hills Escape Rooms have several different room options, the rooms are all based in the rich history of the Black Hills region! Escapees can choose rooms like “zombie prairie dogs” in which you look for help in a ranch house after a friend was bitten by a zombie prairie dog, “shootout in Deadwood” in which you must escape a saloon shootout after being accused of claim jumping, “WWIII: Ellsworth AFB and aliens” in which you hide from nuclear war in an old abandoned nuclear silo north of the Black Hills and must deal with aliens, “murder at Saloon #10” in which you solve clues to find the murderer of Wild Bill Hickok, and “ghosts of the Black Hills” featuring either the historical and haunted Alex Johnson hotel or spooky Mount Moriah Cemetery. 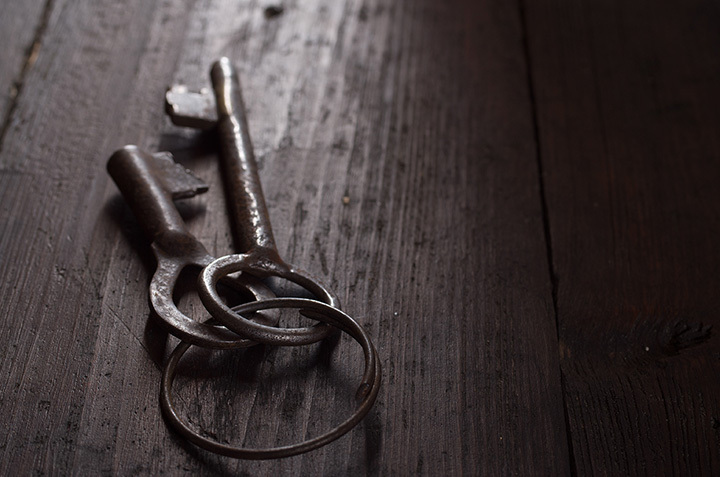 At Black Hills Escape Rooms, your group can have a blast trying to figure out the clues as well as learning about local history in the process! With so many room options and new themes being introduced all the time, there is always a new adventure to be found at Sioux Falls’ Escapades Escape Rooms. Room options include escaping prison, attempting a high-profile Paris heist, exploring a pirate shipwreck with treasure galore, searching Rapunzel’s cottage, and escaping a reclusive writer’s forgotten library. Group rates are available for groups of 12 or more, so grab all your friends and try your hand at this fun live action game! Another of Sioux Falls’ wonderful and imaginative escape rooms, Escape Unit is a creative take on escape rooms, as it is based in a mobile room that goes directly to the customer’s home or business. The room’s theme is a secret bunker in which escapees must follow clues and crack puzzles to disarm a biological bomb before it’s too late. This thrilling mission will be the highlight of your month! That Place For Teens is the coolest place in Mitchell for young people to hang out, whether with escape rooms, video games, table games, live stage with instruments, young worship events, and more. As an effort to fundraise for the other youth activities, escape rooms are held on Tuesdays, Thursdays, and Saturdays and are open to everyone. Escapees get to solve puzzles as well as fund an important community center for local kids. Located near downtown Rapid City, Rapid Escape Rooms were the first in town and are open by reservation only. These entertaining and unique rooms have something for everyone, and even kids eight and older are welcome to try to solve these clues and puzzles!